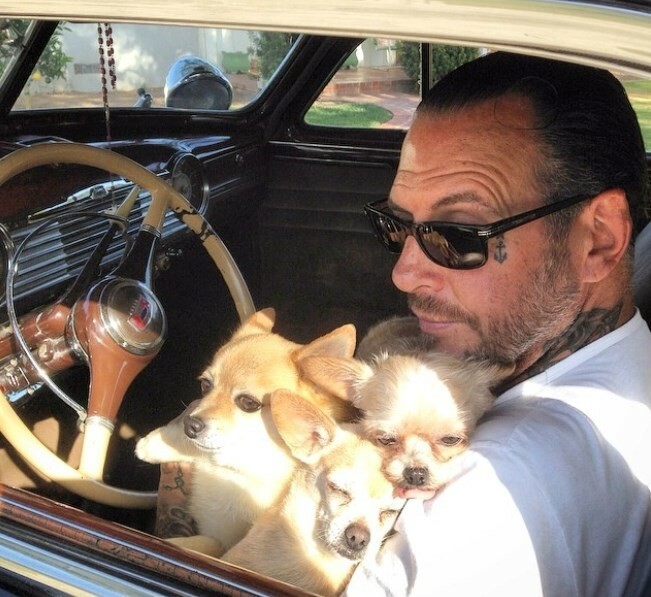 Things went all the way left at a Social Distortion concert in July when Donald Trump supporter, Tim Hildebrand, got into a physical altercation with the punk rock band’s lead singer, Mike Ness. According to Hildebrand, Ness beat him up during the band’s show at Sacramento's House of Spades. Ness reportedly broke into an anti-Trump speech, which of course didn’t sit well with Hildebrand, and in response, the Trump supporter held up his middle finger. “I stood pretty much with my silent protest with my middle finger up for the next two songs,” Hildebrand told CBS-13. Hildebrand, clearly, is a pretty cool and chill guy. According to Hildebrand, things heated up as Ness made motions for him to come to the stage, and allegedly spat in his face. Footage recovered from the night captures the moments leading up to the altercation. The two men were reportedly yelling at each other, before Ness apparently attacked Hildebrand, who recalled the singer “(taking) his guitar off, (jumping) off the stage and (proceeding) to punch me multiple times in the head.” He says that he was left with two black eyes, a split lip and a concussion. With the help of security, the two men were eventually pulled apart. Though Ness hasn’t publicly addressed the issue, Hildebrand plans to press charges. You can watch footage of the incident above; and click here to relive the time that Richard Spencer being punched became a meme.